The number of first-time buyers taking out mortgages increased significantly in January, suggesting that uncertainty in the property market over Brexit is not deterring people taking their first steps onto the property ladder. More than 25,000 first-time buyers took out a mortgage in the first month of 2019, according to banking trade body UK Finance. This comes at a time where Brexit has cooled house prices, giving first-time buyers more hope of finding an affordable property. Which? examines the pros and cons of taking out a mortgage before the UK leaves the European Union and of using a broker when looking for a deal on your dream first home. According to UK Finance, there were 4.6 times more people taking out a home loan in January compared to the same month last year, which amounts to around 25,100 new first-time buyers. In a boost for first time buyers, property portal Rightmove reports the average price of property coming to market in March rose by just 0.4% (+£1,287), the lowest average monthly rise at this time since 2011. This month, average prices fell by 1.1% in London to £607,557 compared to February as the capital housing market appears to be hardest hit by Brexit. Read more: Should you buy a house before Brexit? For first-time buyers with a small deposit, now appears to be a good time to take out a mortgage as more lenders are reducing the cost of 95% mortgages even as other products increase in price. Last month, Which? reported the average rate on a 95% mortgage has dropped by more than 0.5% in six months, currently clocking in at around 3.4%. Moreover, first-time buyers with less cash have been boosted by a growing trend of lenders offering first-time buyer mortgages without any upfront fees. Which? analysis of Moneyfacts data shows 40% of first-time buyer mortgages now come without any arrangement fees, up by 25% in the same period last year. We also analysed Moneyfacts data to find the best fee-free mortgages available to first-time buyers with small deposits. Here are the best two-year fixed-rate 95% LTV mortgage deals that come with no fees. Source: Moneyfacts, 5 March 2019. 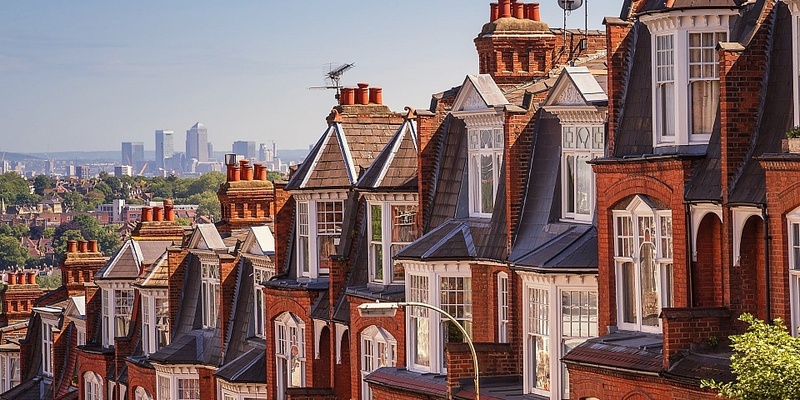 Kate Faulkner, housing expert and founder of propertychecklists.co.uk, said that ‘there has been stagnation in the market over the last year in areas such as London, the South and East, which had overheated and this slowdown has spread to other areas over the last few months. Faulkner says that ‘buyers should not be put off by fears of a house price crash as long as they mitigate the risk of it happening due to economic shocks. ‘If you bought a property now, even if it did drop in value in the short term, the market will probably have corrected itself by the time you come to move (assuming you’re going to stay there for at least five years). Should first-time buyers use a mortgage broker? According to the Home Owners Alliance, 89% of first-time buyers used a mortgage broker in the first quarter of last year. A broker, or adviser, will apply for a suitable mortgage on your behalf based on your personal financial situation. They can save you time by telling you which lenders are likely to accept you and how to improve your application, and can speed up the process by dealing with paperwork. They also have access to thousands of mortgage deals that are only available to intermediaries. It is important to establish whether your mortgage broker is whole-of-market or will only recommend deals from a select panel of lenders.